Jerry West was one of the first dozen or so old school NBA legends I interviewed for Slam, in 1997. I was struck by his intensity and his harsh assessment of his own legendary career, as having been “on the tragic end of things.” is single championship seemed to almost torment him, a reminder of the eight losing trips to the Finals. I was only beginning to understand how the obsessive drive was part of the gift – and the curse – of those who become truly great at something. I present the interview to you here, in honor of the publication of West’s new memoir, West by West: My Charmed, Tormented Life . 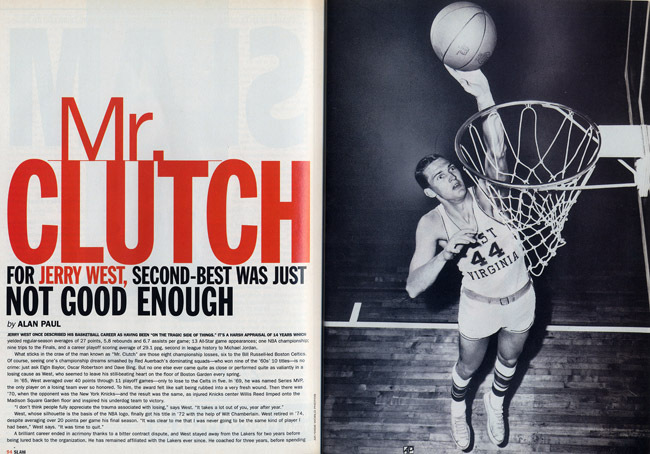 For Jerry West, second-best was just not good enough. You see his silhouette every time you watch an NBA game. 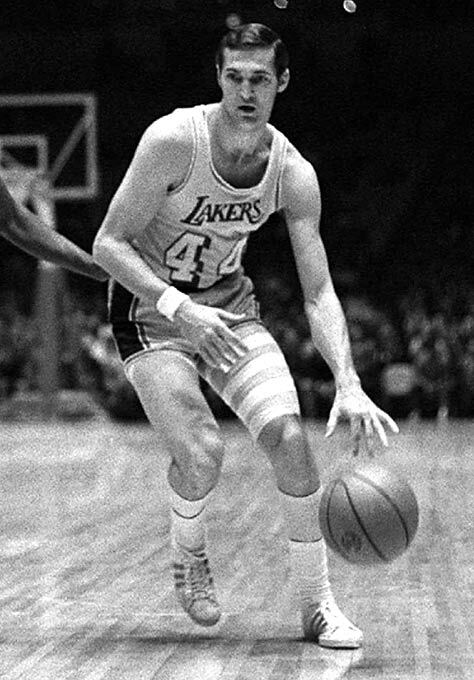 You know his name is Jerry West and he was one of the all-time greats ever to play in the L. But you might not know his story. Lucky for you, our man Alan Paul sat down with West for the September ’97 Slam #20 issue to fill you in. 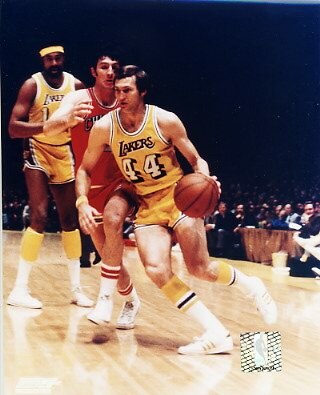 Jerry West once described his basketball career as having been “on the tragic side of things.” It’s aharsh appraisal of 14 years which yielded regular-season averages of 27 points, 5.8 rebounds and 6.7 assists per game; 13 All-Star game appearances; one NBA championship; nine trips to the Finals, and a career playoff scoring average of 29.1 ppg, second in league history to Michael Jordan. What sticks in the craw of the man known as “Mr. Clutch” are those eight championship losses, six to the Bill Russell-led Boston Celtics. Of course, seeing one’s championship dreams smashed by Red Auerbach’s dominating squads-who won nine of the ’60′s 10 titles-is no crime: just ask Elgin Baylor, Oscar Robertson and Dave Bing. But no one else ever came quite as close or performed quite as valiantly in a losing cause as West, who seemed to leave his still-beating heart on the floor of Boston Garden every spring. In ’65, West averaged over 40 points through 11 playoff games-only to lose to the Celts in five. In ’69, he was named Series MVP, the only player on a losing team ever so honored. To him, the award felt like salt being rubbed into a very fresh wound. Then there was ’70, when the opponent was the New York Knicks-and the result was the same, as injured Knicks center Willis Reed limped onto the Madison Square Garden floor and inspired his underdog team to victory. A brilliant career ended in acrimony thanks to a bitter contract dispute, and West stayed away from the Lakers for two years before being lured back to the organization. He has remained affiliated with the Lakers ever since. He coached for three years, before spending another three (’79-82) as a special consultant-convincing owner Jerry Buss to hire then-broadcaster Pat Riley as coach-then 14 as general manager and the last two as executive vice president. He has been able to drink from the championship cup five times, the fruits of victory hopefully sweet enough to overshadow the bitter “tragedy” that lingers over a playing career everyone else saw as sweet in its own right. t SLAM: You’ve played with, coached or worked with some of the greatest players in basketball history, including Elgin Baylor, Magic Johnson, Wilt Chamberlain and Kareem Abdul-Jabbar. Is there anything they all have in common? JERRY WEST: They were all great competitors with a fierce desire to win. And most of them were extremely self-critical, so that if they were off one night, you could be almost positive that they would be back the next game with a vengeance. They simply would not tolerate failure from themselves, and if they had a bad night, the next opponent would pay the price. SLAM: Would you include yourself as someone with those traits? JW: I’d probably put myself at the very top of that list. SLAM: Where does such intensity come from? JW: Who knows why some people have a fierce desire to compete and win? This country is based on competitiveness and winning. There’s not a lot of consolation for losers in our culture. But where that intensity comes from, I can’t really say. It’s a very private thing. You can look right into someone’s eyes and not know what’s burning within them, but that unfailing desire and self-awareness is in all the great ones in our sport. Probably the truly great people in any profession have it, too. SLAM: You really pushed to make Pat Riley coach of the Lakers when he was just a broadcaster. You obviously saw something in him that others missed. Though he was not a great player, was that same type of intensity always evident in him? JW: Sure. Pat was always an extremely intense guy. You could tell what he had inside of him by the way he practiced. No one wanted to practice against him, because he was so intense and every day he competed as if it were a game. Guys got mad at how hard he practiced against them. SLAM: Do you think that, in general, great coaches have the same traits as great players? JW: They’re competitive just like the players, but they have to have a different feel. They have to be able to understand and have a feel for more than one ego and more than one person’s strengths and weaknesses. As a player all you can do is play within yourself, even in the context of a team sport. But to have harmony on a team, you need a coach who can get inside the head of every player and get them all pulling in one direction. SLAM: You played alongside Elgin Baylor for the first nine years of your career. What made him so great? JW: He was a total package-and it was an unbelievable package. He had strength, smarts, quickness, great instincts and unbelievable competitiveness. He could drive, he could shoot, he could pass, he could rebound and he played great D. He was unreal. He was a wonderfully-gifted player and an absolute joy to watch and play with. SLAM: Are there any performances of his which really stand out in your mind, like when he scored 61 points in Game Five of the ’62 finals? JW: That was phenomenal, but I saw tons of nights when he was just absolutely incredible. And when you watch that night in and night out, you can’t help but be in awe and be inspired. Playing next to him couldn’t help but elevate my game. It’s like watching Michael Jordan. He makes everyone around him so much better. There’s really no way to describe playing with someone like that. SLAM: Yet, ironically, you guys started your record 33-game winning streak the night Elgin announced his retirement early in the ’71-72 season. JW: Well, he was injured and was no longer the same player. He had only played a few games the year before and was struggling to come back. Health issues are something that no athlete can contend with. They ruin careers and have some terrible consequences. SLAM: What did it feel like during that streak? JW: It felt like we’d never lose again. Every once in a while, you have the opportunity to play on a team that is special; the players just have the ingredients to endure. They seem to get every break in the book, and they win games when they appear to be lost. You can’t imagine how much good luck is involved in winning, but all of a sudden, you get in a situation where every break goes your way, every call goes your way, every ball that rolls around drops in instead of out. It feels magical. But we were a very well-rounded team, and everyone knew their place and did their job. There was no question of who should be doing what or who should be where when. We just went out there and played, and operated like a well-oiled machine. SLAM: The great Bill Russell-led Celtics teams seemed to have that quality. What do you think made Russell so great and so successful? JW: He had the right amount of desire, know-how and skills, and he played on a team that was very well put together and put together to play to his strengths, and to everyone’s strengths. It’s very true that everyone on those Celtics teams knew their roles and executed them to perfection. SLAM: You lost six championships to them. Did you develop hostility toward Russell or any of the players? JW: Not at all. I have nothing but the greatest respect for those teams and I greatly admire many of those players, but there was such a hurt at not being able to defeat them that I can’t really even describe it. No matter how well I played, it never seemed to be good enough. SLAM: In ’72, you finally won a championship, beating the Knicks. Did you feel redeemed at all? JW: A little bit, but I played so terribly that it took some of the joy away. It was probably the first time that I played poorly in a final and the first time we won. I was absolutely delighted for the team, for the city and the fans, for my teammates, but I think I was sort of emotionally drained by then from all the losing. SLAM: Basketball seems to have caused you a lot of pain. Was there ever a time when it was just a sheer joy, because you were playing so well and feeling so good? JW: I don’t know if it was ever really a joy because it was such hard work, but I loved to compete. The passion to win games, the incredible, focused energy and also the the camaraderie of the team were all things that I really loved. SLAM: In Game Three of the ’70 Series against the Knicks, you hit a 63-foot shot at the buzzer to send the game into overtime. What do you remember about that shot, which is considered one of the greatest moments in NBA history? JW: I was so tired that I don’t even remember the shot. I was just so worn out at the end of that game. And it wasn’t a great moment to me. I hit a lucky shot in a game we should have won, but lost. We should have beaten the Knicks in that series. They had a wonderful team, and they really played well together, but we were better. Losing that series was one of the most devastating moments of my career. I think that it hurt worse than the others, because I really thought we should have won. Also, as you get older, every chance to win a championship is more crucial, because you are going to have less and less of them. SLAM: The Knicks won Game Seven after Willis Reed limped out onto the court and played despite a torn thigh muscle. That is viewed as one of the great inspirational moments in sports history, something that rallied the team and the home fans. What was that like from the other side of the court? JW: I thought it was great, because I thought [Reed] playing would help us win. I thought we had such a huge advantage simply because he was hurt; I was glad he was out there limping around. SLAM: But you too were seriously injured, requiring injections in both hands just to be able to play, and no one even knew it. JW: I had two really sore thumbs, and obviously that hampered me, but you have to do the best you can with what you have. SLAM: Wilt Chamberlain came to the Lakers in ’69, and you two played several seasons together. What kind of teammate was he? JW: At that point in my career, I certainly needed something different, and he provided it. He’s someone I greatly admire and appreciate, because he helped me achieve one of my goals. I had an incredible working relationship with him and really look back on it fondly. SLAM: Wilt hasn’t always been the most popular public figure. Do you think he’s misunderstood? JW: Wilt says things sometimes that a lot of us would like to say but don’t, and I’ve always admired him for that. He’s always been extremely candid in a way that not many of us are. I see him or talk to him once or twice a year, and I really enjoy it every time. SLAM: At the University of West Virginia, you averaged almost 25 points as a 6-2 forward and were a two-time All-American. Did playing down low help you become a well-rounded player? JW: It really wasn’t a good thing for me. In a lot of ways, it didn’t make me realize what I had to do play guard in the NBA. It took me several years of on-the-job learning to be a good player. SLAM: Several years? You averaged almost 18 points your first year-and 31 your second. JW: I could score, sure, but there’s a lot of difference between being a scorer and being a player. I had to learn the nuances of playing guard: knowing your opponent and your teammates, getting them the ball where they could score, knowing when to shoot and when to pass. As a point guard, you’re the first line of your offense and the first line of your defense, and you better know what you’re doing. It’s a learning process. SLAM: What was your biggest deficiency coming out of school, and what did you do to overcome it? JW: I was not a great ballhandler. I just worked very hard at it, and I got to be a good ballhandler-a competent ballhandler-but never a great ballhandler. SLAM: Who was the toughest opponent you ever faced? JW: Oscar Robertson was a player I greatly admired, and I learned a lot from playing against him-something new each game. 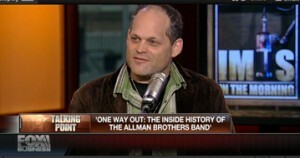 He was just marvelous, and very, very smart. I also played with him in the ’60 Olympics game, which was really a high point in my career. SLAM: That was a great squad, which some have called the original Dream team. Why was it so satisfying? JW: The opportunity to compete as an amateur embodied everything that an athlete could want. I’ve been fortunate to play on a lot of good teams, but I lost in the NCAA Championship game as a junior, and my professional career was filled with frustrations because of championship losses, so the best moment for me was accepting the gold medal in the Olympics and having the opportunity to play with those guys. SLAM: Your nickname was Mr. Clutch. Do you ever remember being nervous at crunch time-or not wanting the ball in your hands? JW: I think you’re always nervous, or have a nervous energy which you feed off of. So it’s not accurate to say I was never nervous, but I was not afraid to fail. I always wanted the ball in my hands with a game on the line, as I think any real competitor does. I was disappointed if I didn’t have a chance to win a game, and if I had the chance and didn’t do it…I guess disappointed would describe how I felt. SLAM: Are there any specific games that stand out in your mind as milestones, that you look back on most fondly? Maybe when you scored 63 against the Knicks in ’62, or Game One of the ’69 Finals when you scored 53 against the Celtics? JW: No. Those were just things I did. I don’t dwell on them. I don’t live in the past. And besides, there are too many times in my career to remember specific events, because I played so many games. I will say that there were nights I felt I couldn’t miss. SLAM: You had a very acrimonious contract situation with the Lakers right before you retired, which led you to sue the team and be estranged from them for two years-the only time you’ve not been associated with them since ’60. Did you apply anything that you learned from that experience to being a general manager? JW: You better believe it. I would never, ever intentionally hurt a player contractually. He should be paid the going rate. I don’t really want to go into my problems with the team at the time except to say that no one’s ever had to pay me to play basketball. My problems weren’t with feeling like I wasn’t getting enough, but with feeling like I was deceived and lied to. I just felt so hurt that you play for so long and give it everything you have; you play with needles in you, and when you’re bleeding and when you feel like you can’t walk. And when it came down to it, you had no rights. That hurt, and I try to make sure that our players never feel that way. SLAM: The Lakers have always seemed to foster something of a family atmosphere, epitomized by your lengthy involvement, as well as Magic’s and a few others’. Is it sill possible to maintain that type of organization these days? JW: We still seem to have a close-knit organization, with a somewhat more relaxed atmosphere than you find elsewhere. But it certainly is much more difficult to maintain today. The difference is the expansion of the league, and more importantly, the incredible amount of pressure now felt by everyone from players to front-office officials to marketing people, because of the financial resources that are now out there. [The NBA] used to be a small band of basketball groupies. Now there are a lot more corporate-type people working in the league. But some things don’t essentially change. I don’t care how many lawyers and brilliant people are involved in the league, it’s still a sport and it’s still a team game, which means it’s about bringing people together to pull for a common good. So we’re constantly trying to create an atmosphere that’s positive and conducive to true teamwork. And we’re trying to do that in an atmosphere that is promoting the individual to a huge extent. An insane extent. SLAM: That promotion of the individual-regardless of the talent involved-seems to be one of the biggest changes. It must irritate you sometimes. JW: It’s really mind boggling. At one time, you really had to earn your spurs in this league, and you don’t have to do that anymore. There are some wonderful players in this league, and also some players who are not so wonderful who are marketed to the hilt, and it gets to the point where it’s ridiculous and people believe their own hype. The marketing of players has created untold wealth for many sports stars. You can’t blame them or the company that covets the relationship with them, but that doesn’t mean the player is good. There are many players who don’t measure up to their marketability. Personalities seem in many cases to dominate the lucrative endorsement market. But that doesn’t upset me. What upsets me is when not enough attention is paid to the product-the game. But, despite what you hear, I see an awful lot of nice kids out there. Almost every kid in this league, if left alone and encouraged, will be a great player and a great citizen too. Frankly, I think a lot of these guys are getting a bad rap. SLAM: One of the people often singled out for criticism of his whole generation is your star, Shaquille O’Neal. JW: Yes, and that’s the worst. He’s one of the greatest kids I’ve ever met. This is a wonderful person who was raised right by his mother and his stepfather, Mr. Harrison. I don’t know where the negative stuff about him comes from, but I can only assume that jealousy is a big factor. People resent the money these kids are making, but they didn’t create the system. SLAM: I think racism plays a big part in that sort of criticism. JW: I would hope that racism is something that just does not work in this day and age, but I know otherwise. I get horrible mail from people who, among other things, call me a racist because we don’t have any white players on this team, which is patently absurd. SLAM: You were involved in drafting Magic Johnson. When did it first strike you just how great he was? Can you try to scout intangibles such as leadership and desire to win? JW: In Magic’s case, it was an absolute no-brainer. What you’re talking about is someone who plays the game with personality and confidence and control. If you can’t see someone’s got a game with great personality, you shouldn’t be out there looking. At the same time, as I said, you can’t ever totally know what’s inside of someone else, or see the kind of will someone like Magic has. You have to rely on your instincts to find people who hate losing and know how to win. I have signed my kids up for a cult Long Live the King – paying tribute to B.B.